The new meat treats hit the streets this week. They went out in the September Bark Box. 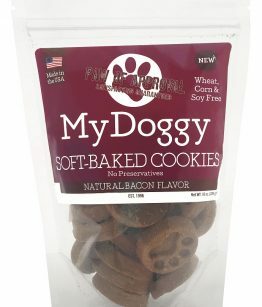 If you’re new to the My Doggy Blog, haven’t been paying attention, or are just plain forgetful, let me explain what a Bark Box is. Our friends at Bark Box send their subscribers a monthly package, jammed full of toys and treats, aimed at keeping canine companions happy and entertained. We’re happy here at My Pet Enterprises to have been selected a number of times for inclusion in their big boxes of fun. It’s a great way for a small company, like ours, to get our products and our name out in front of a lot of people who might not otherwise ever learn about us. 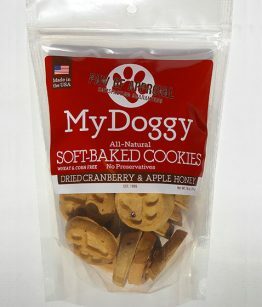 This new line of protein-based flavors, initially rolling out in two flavors — Apple Duck and Turkey Sweet Potato — won’t officially go into widespread distribution until October 1st, so we hope the Bark Boxers, (as well as other breeds), enjoy this semi-sneak peek into the next step in our never-ending effort to bring good dogs everywhere good treats that not only taste good, but are good for them, too. 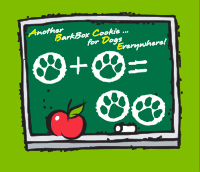 September’s Bark Box theme is “Back to School,” which is why our labels for the Bark Box bags of My Doggy Soft-Baked Cookies contain an image of an apple for the teacher. The bags themselves contain unimaginably delicious delights for the teacher’s pet. Stay tuned for your chance to order the protein-packed Meat Treats beginning October 1st. 9 Responses to "Meat Treats Hit the Streets — Dogs Go Wild!" 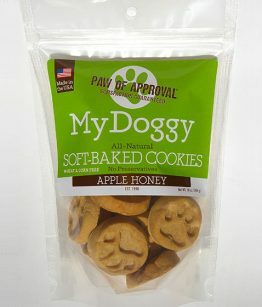 My dog absolutely LOVES the Apple Duck cookies. Can’t wait for October 1st to get him some more. Thank you for the review! We’re glad you found us through BarkBox and that your dog liked our treats. The Apple Duck cookies should be ready by October 1 or sooner. We’d be happy to reach out to you when they are ready to ship. My Luna is INSANE over the apple duck treats!!! Can’t wait to order October 1st! Thank you for the review. We look forward to your order. Just got our Bark Box and the Apple Duck treats were the first to be eaten. Went on your website and saw they are not available yet — we can’t wait until October 1st to order our new favorite treats! Hi. Thanks for reaching out to us and great you found us via Bark Box. 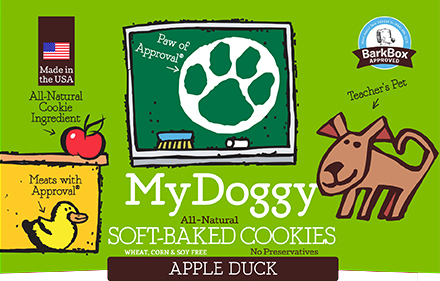 The apple duck is available right now in the shop area: https://www.mydoggy.com/product/protein-line-apple-duck/?v=7516fd43adaa. 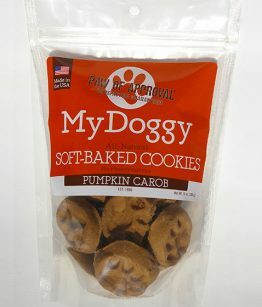 Please contact us if you are still not able to order the treats and we’d be happy to call you to place your order. I’ll also touch base with my webmaster Monday to see how to have this displayed more prominently on the site. 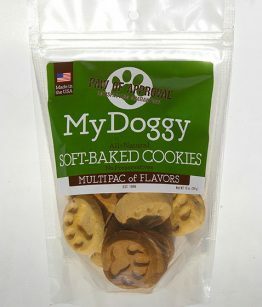 My dog loved these she got in her Bark Box!!! Can’t wait to order them for her!!! When will they be available?